Is Apple TV Doomed to Fail Again? 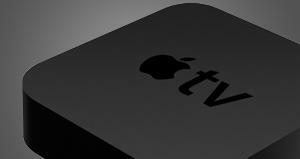 During Apple’s Keynote last Wednesday, Steve Jobs admitted that the first iteration of Apple TV was not a big hit. This was due to the content, price of content, lack of HD compatibility, storage management, and lack of streaming content. However, it appears that with the second-generation device, Apple has genuinely addressed the first-generation’s complaints. Though it begs the question – is it too little, too late? The most effective innovation introduced in the improved Apple TV is the ability to stream content from cloud-based servers to one’s device, allowing for quick buffering and viewing of content. This is a godsend considering the amount of space a 720p video file takes up and how long that takes to download. Alongside the video streaming, iTunes-based media, including pictures and music, is pulled from the user’s computers to the hub. For once, it seems as if Apple is late to the party and actually admitting that fact. Microsoft has instant streaming from the Zune Marketplace, available through services such as Xbox LIVE. Netflix has been streaming to devices since 2008 and recently upgraded their system to deliver full HD video to computers. Pandora streams music to internet browsers in customized playlists. Sony recently announced plans to bring a streaming servicein addition to their already Hulu, Netflix, and Internet-ready PlayStation 3. Hello, Apple? Where have you been since 2008? Another issue that many will encounter with their shiny new black boxes is Apple’s egregious prices for their movie and television rentals. Apple was able to strike deals with two of the four major cable networks reducing the price of HD rental content in half. With the introduction of rentals in 2008, Apple tried to make a significant cut into the physical media realm, similar to their model for iTunes. There are two problems with this strategy. First, they do not have a subscription-based service that allows users to view an unlimited amount of content. If a user wants to watch every previous season of The Office on a service such as Netflix, it costs a monthly-rate of $8.99, compared to paying well over $100 to watch through the series once. Second, they had a late start in the Internet movie rental industry. It is impossible to compete with companies like Netflix when they have already garnered such a large consumer base when offering a product that costs exponentially more over time. The new Apple TV does have Netflix functionality, a smart move on Apple’s part. Though they will not profit as much from the iTunes rentals as they are projecting, their model will become profitable through hardware sales. A comparable device with similar streaming technology costs 2-3 times more than the new Apple TV does. Many of these devices, such as the Xbox 360, also require users to cough up extra cash on an annual basis to access online functionality. This is ultimately why the second-generation Apple TV will be successful. It introduces casual users to online video streaming, which is becoming increasingly popular around the world. The device’s success will be limited by the lack of diverse ports, only including HDMI for audio / video output. Through the general evolution of technology, the core market for Apple TV will gradually shift to HDMI capable devices. Though there are already many devices capable of streaming media in the houses of many, is the Apple TV innovative enough that comsumers will buy a dedicated media hub?